Nigerian author and speaker Chief Solagbade Popoola is has just released his newest book “Omoluabi: The Description of the Complete Human Being” and he will begin a book tour the touches down in New York, Oakland, and Los Angeles. In Oakland, his presentation entitled “The Loss of Innocence and the Discovery of Character” will highlight Chief Popoola's trademark command of sacred poetry, story telling and discussion. In “Omoluabi: The Description of the Complete Human Being” Chief Popoola will expound upon the Yoruba principle of Omoluabi, which suggests nobility and sincere goodness from within. When an elder refers to someone as omoluabi, it is used as a term of endearment, an epithet that goes beyond the individual to celebrate the community that produced the person. As such, Omoluabi refers to someone of integrity, wisdom, and patience. 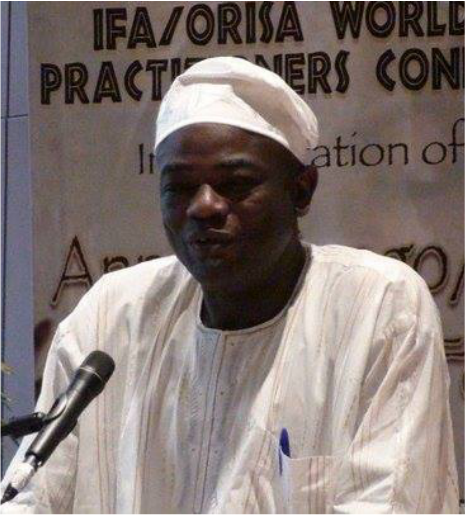 The lecture and book release will draw upon numerous verses of the sacred texts of Ifa, as well as Chief Popoola's direct experiences as a 30 year veteran researcher, scholar and priest of Ifa. $16.99 in advance. $23.99 at the door! !